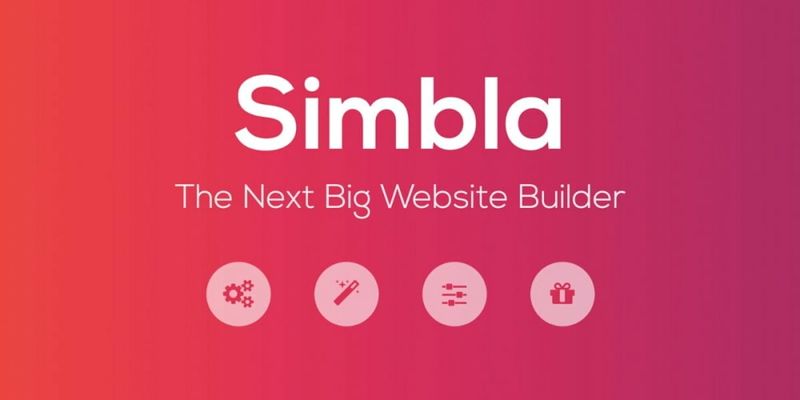 Simbla is an easy website builder to build code-free websites in minutes. No knowledge of programming or web development is even required to get an professional, responsive, and beautiful website. This article is a follow-up to the new features that Simbla has been tirelessly adding and implementing since our last review about their awesomeness. We&apos;ll cover these in detail below! We&apos;ll also discuss website builder&apos;s in general and why you should seriously consider Simbla for your next project. It&apos;s no secret that web development is constantly evolving and changing. The Internet moves fast - plain and simple. If you&apos;re a seasoned developer or a beginner designer, it&apos;s important to have a strong toolset with you while building websites. "Use the right tool for the job." Simbla is that tool. Remember that smart and experienced developers stay humble when approaching projects. Simbla&apos;s technology is advance, easy, and extremely powerful. You can build professional and responsive websites with ease. Your small business, company, or project might not need a full blown custom-coded website from scratch. Using a website builder is completely acceptable in many cases. Have you ever had a client or needed to add or change an entire section of a custom template like on the homepage? Simbla makes this ridiculously easy with their new ready-made blocks. Nailing branding is difficult. The slightest color variation can have profound impact on a company&apos;s image or brand. With Simbla, you can easily make those necessary changes to get the most bang for your buck. With just 2 or 3 clicks, the whole feeling of the site can change. With Theme Maker, you can pick from a ready made or set your own overall feeling of your site (text, fonts, background color, icons, etc.) and it changes immediately. You can see Simbla does a lot. So much that between all its great features like drag and drop blocks, design and theme options, being responsive, and more, you&apos;d think using this website builder is hard. It&apos;s actually the opposite. It&apos;s so easy that they even have a website wizard to walk you through the steps. Multi-page website: Builds a multi-page website with as many pages as you wish. Step 4 allows you to build your navigation and select which pages you want. If you&apos;re doing a one page website, you can just skip this step. You can always add more pages later. Simbla supports multiple types of layouts and designs. Maybe a gallery is needed or a big call to action header for your homepage. Here you can configure your homepage however you want. Simbla has been working hard to really not only make things easy, but also to let you get more creative with the design and theming options. Check these new background features out! No more plain boring background colors! You can now upload a repeatable pattern for your background image and preview what it looks like. Video backgrounds can really make a website come to life. Simbla&apos;s website builder tools make this so easy! This is a feature under "pro" accounts. These are some seriously awesome features for a website builder, but Simbla isn&apos;t stopping here. They&apos;re working on even more cool features that other website builder&apos;s aren&apos;t. Simbla is more than that. It&apos;s an online database platform that will connect to the current builder&apos;s UI and allow users to create beautiful and fully functional Web applications. You heard that right. Yes, website applications. You should definitely give Simbla a try. They&apos;re a very promising website builder to help you build websites quickly.